The Islamic State-linked Amaq News Agency issued a statement on October 30, recognizing Islamic State in the Greater Sahara’s (ISGS) pledge of allegiance to Islamic State (IS) following 17 months of silence after the group’s initial pledge in May 2015. The initial silence, which is not characteristic of IS, appears to illustrate lack of coordination between ISGS leader, Abu Walid al-Sahraoui, and IS, as well as doubts in ISGS’s capabilities. 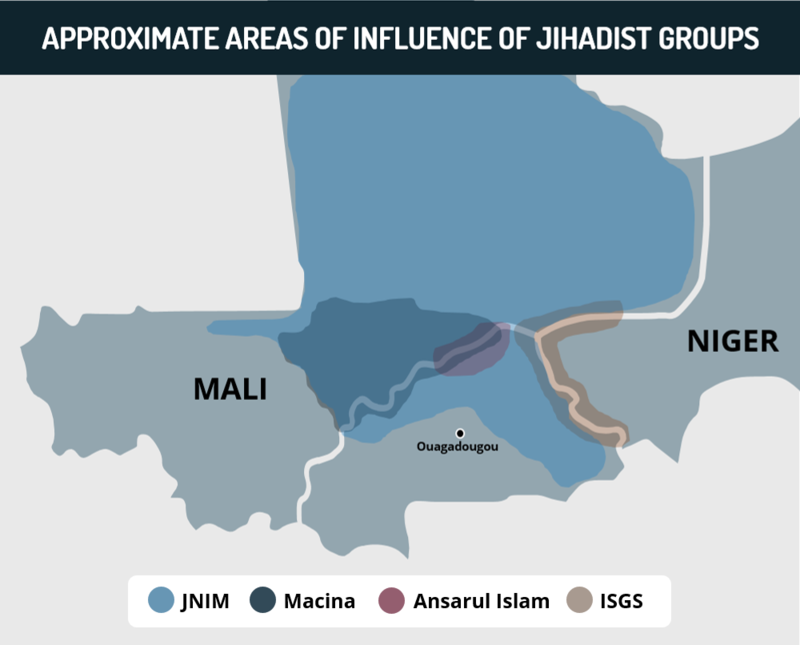 Islamic State’s decision to accept ISGS was likely influenced by recent spate of ISGS attacks in border area between Niger and Burkina Faso, through which the latter illustrated some level of capabilities, whereas this was previously in question. The acceptance of ISGS was also connected to Islamic State losses in other theaters, such as Libya, Iraq, and Syria, and the need for the organization to illustrate continued strength and expanding geographical scope. IS’s recognition will likely bolster ISGS’s standing in region, likely enhancing recruitment capabilities. ISGS to carry out further attacks in coming months, in effort to build regional status, both along Burkina Faso-Niger-Mali border areas. Furthermore, while their capabilities remain to be seen, they may seek to carry out more high-profile attacks in West Africa for similar purposes. However, ISGS is not likely to emerge as considerable rival to al-Qaeda linked groups in the area due to latter’s entrenchment. Those operating in or traveling to the West Africa region are advised to contact us for itinerary-based consultations and ground support options. Islamic State (IS)-linked Amaq News Agency released a statement on October 30, in which they acknowledge the pledge of allegiance from Adnan Abu Walid al-Sahraoui and his Islamic State in the Greater Sahara (ISGS) militant group. Amaq also published an accompanying video, dated to October 30, in which al-Sahraoui and his men pledge their allegiance to IS and leader Abu Bakr al-Baghdadi. Al-Sahraoui previously pledged allegiance to IS in May 2015 on behalf of al-Mourabitoun, when he was the disputed leader of the group, which was a merger between Mokhtar Belmokhtar’s al-Mulathameen Brigade and Movement for Oneness [Tawhid] and Jihad in West Africa (MUJAO), where al-Sahraoui was previously a spokesperson. The 2015 statement by al-Sahraoui was denied by Belmokhtar, who reaffirmed al-Mourabitoun’s allegiance to al-Qaeda and leader Ayman al-Zawahiri. Belmokhtar emphasized that al-Sahraoui was speaking on his own behalf. This led to infighting between supporters of the rival factions of al-Mourabitoun, during which al-Sahraoui and his supporters lost considerably, with reports that al-Sahraoui was severely wounded, and afterwards, the group was inactive. 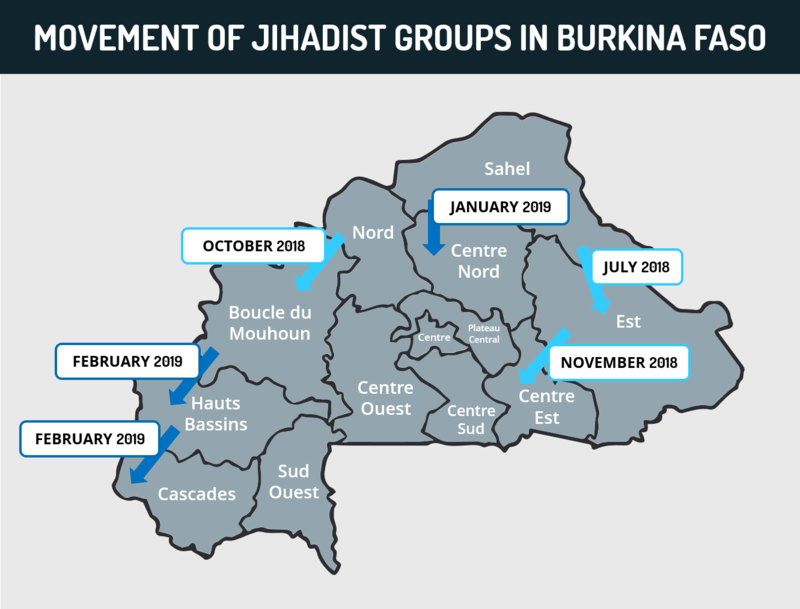 While not being active following their May 2015 pledge, ISGS has claimed responsibility for a handful of attacks in Burkina Faso and Niger in recent months. ISGS first claimed responsibility for an attack on a border post in the Oudalan Province of Burkina Faso that killed two during the overnight hours of September 1-2. 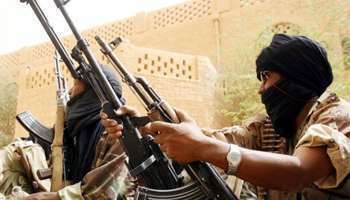 Later on, the group claimed responsibility for attacking a security outpost in the town of Intagom, Burkina Faso, 5 km from the Malian border on October 12, killing three policemen. Furthermore, on October 17, the group claimed responsibility for an attempted prison break attack on the Koutoukale Prison in Niger, located 50 km northwest of Niamey. The Koutoukale Prison is a high-security prison that holds many suspected Boko Haram members, as well as jihadist militants of other groups. Additionally, there have been numerous attacks that have went unclaimed in Burkina Faso and Niger, which may have been conducted by ISGS. The nature of Islamic State’s acknowledgement of ISGS is notable due to numerous factors. For one, the extended silence by IS is not characteristic of the group, which is often quick to acknowledge pledges of allegiance even from smaller groups, similar to ISGS, often devoting considerable coverage to such affiliations, such as the Skikda Brigade and Jund al-Khilafah in Algeria, and al-Mumin’s al-Shabaab breakaway in Somalia. It was also presented in a much vaguer and low profile manner when compared to other groups pledging allegiance to IS in the past. Previous claims are also often preceded by “teaser” publications stating that an important announcement is coming soon. 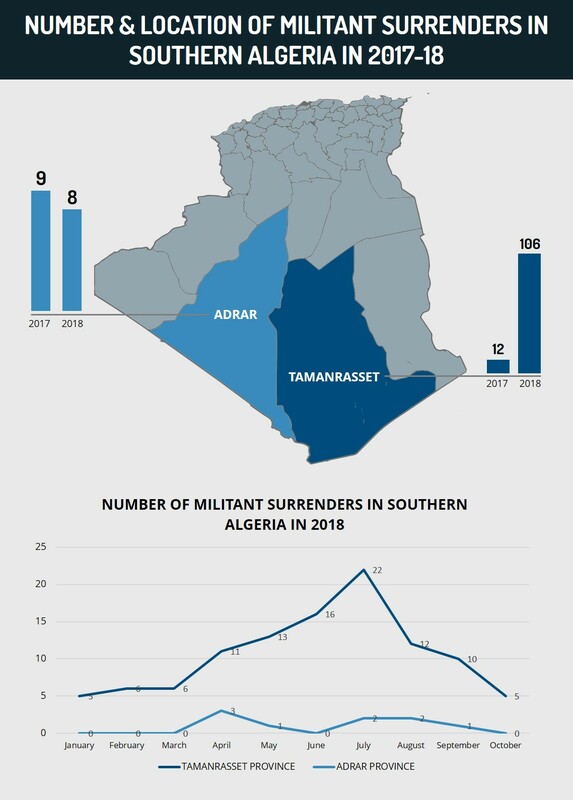 We assess that the silence was indicative of a lack of communication between al-Sahraoui and official IS networks, whereas pledges were often made following a period of direct communication with IS leadership. Additionally, IS likely had doubts regarding the capabilities of al-Sahraoui and his faction, especially following the fighting with Belmokhtar’s men. Al-Sahraoui’s credibility may have also been a source of concern for IS in light of the fact that his pledge, made on behalf of al-Mourabitoun, was rejected soon after by Belmokhtar. 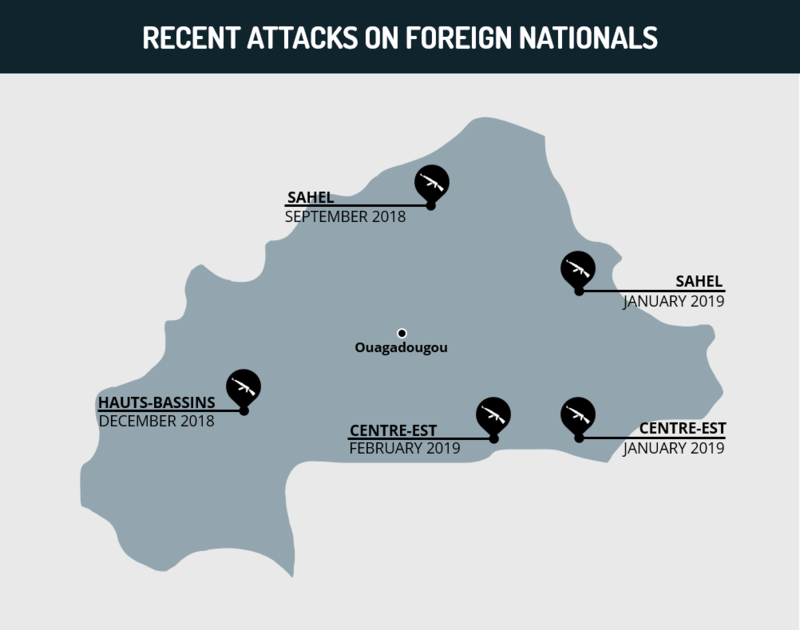 In this context, recent months have seen several attacks claimed by al-Sahraoui via al-Akhbar, a Mauritanian news outlet, while other attacks suspected to have been carried out by ISGS have gone unclaimed. The timing of the spate of attacks ahead of the announcement leads us to assess that this was either done to prove to IS that ISGS is a capable group, or because IS demanded such actions ahead of the acceptance of the pledge as a means to draw greater attention to the announcement. Additionally, the statement comes amid considerable IS territorial losses in the Middle East, including the almost complete loss of its strongholds in Libya, the loss of the symbolic city of Dabiq in Syria, the namesake of their monthly magazine, and the ongoing battle being waged by various armed forces to recapture Mosul, Iraq from IS. 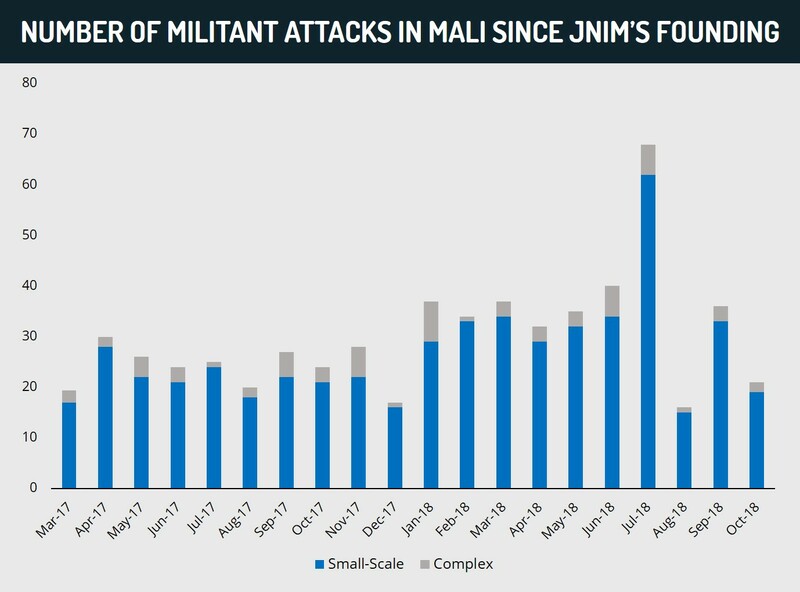 With this in mind, the affirmation of an affiliate group in the western Sahel, especially one that has been carrying out more attacks in recent months, is likely an attempt by IS to bolster perceptions of its strength and global reach in an effort to maintain relevance and appeal. FORECAST: Going forward, we assess that the affiliation is likely to bolster ISGS’ status in the region, possibly assisting in their recruitment efforts. Additionally, ISGS will be able to claim responsibility through official IS and IS-linked publications, giving them wider recognition, under a larger umbrella, rather than through al-Akhbar, as was the case in the past. 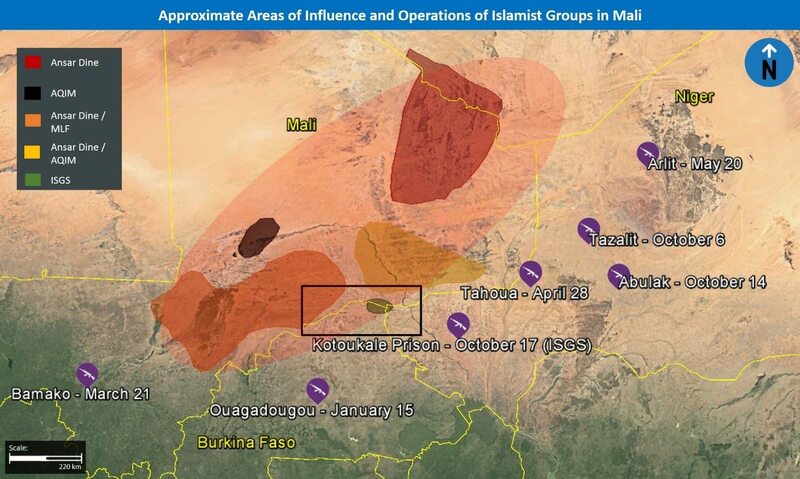 Regarding its operations, ISGS will likely continue carrying out attacks along the Mali-Niger-Burkina Faso borders in coming months, with an expected focus on security forces. 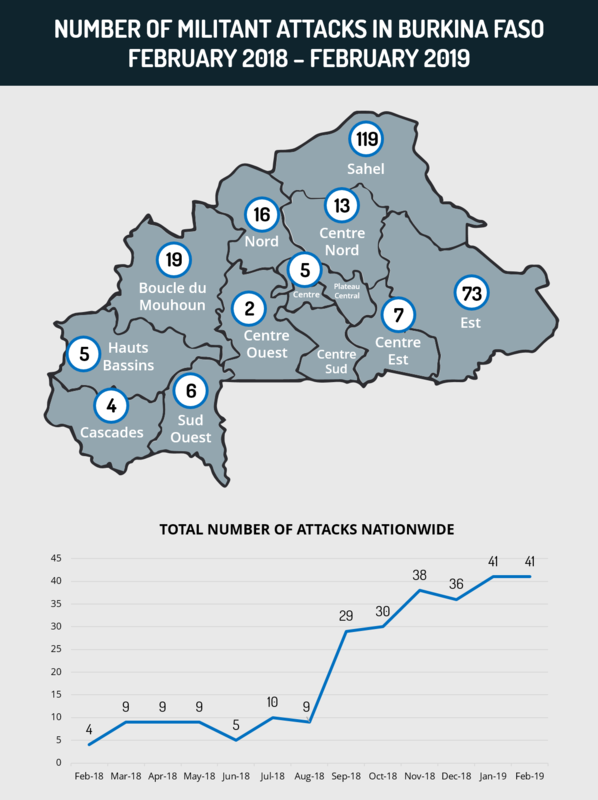 The majority of these attacks will likely continue to be small-scale ones, but ones such as the attempted Koutoukale Prison break are also anticipated. At the same time, the group may also attempt a more high profile attack, in urban centers within these countries, and possibly others in West Africa, in order to announce their presence in the region in a “louder” manner. 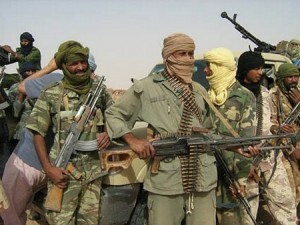 FORECAST: Nevertheless, al Qaeda and its regional affiliates, such as al-Qaeda in the Islamic Maghreb (AQIM) and Ansar Dine are expected to remain the prominent jihadist militant groups in the western Sahel, and are deeply entrenched and influential in the region, in part due to the local and popular focus of their activities and messaging. ISGS remains a small group, with limited resources and capabilities, which is unlikely to see an exceptional shift at this time, even after the official affiliation to IS. 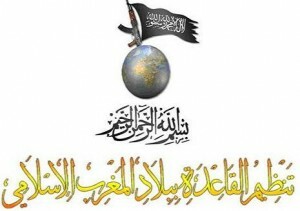 This is due to al-Qaeda’s strength in the region, as well as the fact that IS is currently struggling in the Middle East, and at this stage it appears that the group has limited resources to disperse to its affiliates such as ISGS. FORECAST: Instead, IS will likely seek to divert efforts to other more established and priority locations, such as Libya and even, to a lesser extent Nigeria. This was highlighted by recent the recent statement from Abu Bakr al-Baghdadi for IS supporters who can not reach Syria or Iraq to instead go to Libya. At the same time, with IS losses in Libya, there is a distinct possibility for some militants from there, especially ones from West Africa, to join ISGS. “I pointed out to you the stars, and all you saw was the tip of my finger.” Today, this locally revered Tanzanian proverb should resonate deeply within the minds of anyone who fears the spread of Islamic extremism in Africa. On Tanzania’s island paradise of Zanzibar, the killing of a Catholic priest by Muslim extremists on February 23 points to series of mounting and long-ignored signals that the continent’s jihadist wave is expanding south and affecting security. Since October 2012, this traditionally tranquil tourism hub has been awash with sectarian strife. It began when a dispute between two local schoolchildren resulted in the defilement of a Koran, sparking outrage in Tanzania’s large Muslim community.At least four churches across the country were attacked in the aftermath, in what may just prove to be a watershed moment in Tanzania’s modern history. In February 2013, religious tensions in Zanzibar continued to simmer due to a dispute over butchering rights, sparking titfor- tat attacks between Christians and Muslims, ultimately resulting in the beheading of one priest and the fatal shooting of another inside his own church. A self-proclaimed local al-Qaida branch calling itself “Muslim Renewal,” took credit for the shooting as its inaugural attack.Fourteen years before the Zanzibar unrest, Tanzania took center stage, with all fingers pointing at al-Qaida militants after a deadly bombing attack at the US embassy in Dar es-Salaam. This event, along with the bombing of the United States embassy in Nairobi, brought names like Osama bin-Laden and Ayman al- Zawahiri into the public sphere for the first time. Then-US president Bill Clinton responded by launching cruise missiles at al-Qaida bases in Sudan and Afghanistan. Despite the participation of local East Africans in the attacks, however, few concrete measures were taken to curb radicalization in the region. 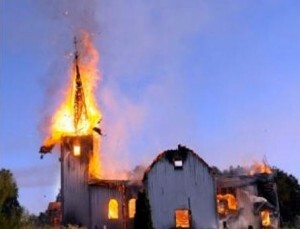 Muslim residents of Zanzibar set fire to a Christian church. By May 2012, the global jihad network would rear its ugly head in Tanzania once more, after a bombing attack occurred in the Kenyan capital, targeting a prominent shopping district. While blame was placed squarely on Somalia’s al-Shabaab, the arrest of a German national in Tanzania in connection to the attack largely went unnoticed. The man, reportedly of Turkish descent, had undergone training in al- Qaida camps in Pakistan. The Mali coup d’état: The rise of a new Islamist state? After almost a century of fighting and with little to show for, the traditionally nomadic and ethnic Tuareg people of North Africa are suddenly on the verge of accomplishing one of their premier goals- securing the territory needed to establish the state of Azawad within today’s northern Mali. The Tuaregs, who number some 1.2 million people in the region, are one of the many distinct ethnic groups who continue to shake North Africa’s geo-political future. In doing so, the Tuaregs have utilized their primary military front, the secular-nationalist National Movement for the Liberation of Azawad (NMLA) to accomplish their military objectives. Furthermore, their latest offensive and the subsequent seizure of large swaths of territory has surprised many with the speed and firepower deployed. To that point, their latest gains are primarily due to two major developments – the fall of Colonel Gaddafi in Libya and the alliance between Islamists and Tuaregs in Mali. 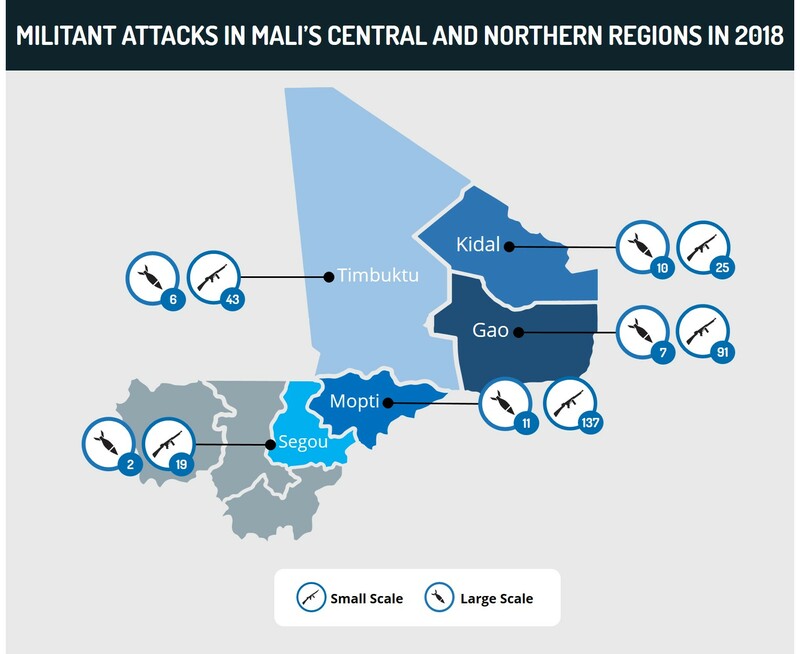 Even before Mali started hitting the headlines this past week, town after town along the northern Mali-Algeria border began to fall to the Tuareg-Islamist insurgents. Moreover, some 200,000 people have been displaced in the last three months alone. 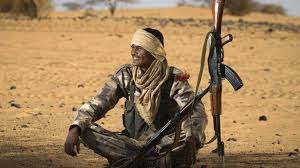 To that point, Malian soldiers – mainly ethnic sub-Saharan Africans – who once had the upper hand against the formerly lightly armed Tuareg insurgents were now facing a heavily armed, reinforced, and highly motivated fighting force. Simply put, the Mali army found itself outgunned and undersupplied to fight against a determined enemy in one of the harshest environments on the planet. Since the rebellion began in January, the mounting military defeats pressed the country’s junior officers and soldiers to seek a solution. Therefore, the now disgruntled and demoralized army decided to launch their coup d’état and seized power on March 22 from the Western-backed, now deposed President. Since then, little has gone the junta’s way, as the mutineers, including their leader – US military trained Captain Sanogo – were undoubtedly surprised, not only by the international outcry against them, but also the rebel offensive in the north that has seized territory roughly the size of France in just one week. Hey Buddy!, I found this information for you: "The Tuareg Factor". Here is the website link: https://www.max-security.com/reports/the-tuareg-factor/. Thank you.